The Swiss Life Group again increased its efficiency and competitiveness in 2013, generating adjusted profit from operations of CHF 1143 million (+13%). Net profit came to CHF 784 million – compared to CHF 99 million in the previous year, which was impacted by one-off effects. All market units contributed to the positive development and grew in strategically important business areas: Premium income overall rose by 4% in local currency to CHF 18 billion. Thanks to the high net investment result of 3.9% (2012: 4.8%) it was again possible to substantially strengthen the insurance reserves. Despite investments and growth initiatives, Swiss Life reduced costs under "Swiss Life 2015" by a further 1% compared with the previous year. Asset management business for external customers generated good net new asset inflows of CHF 5.6 billion and assets under management grew by 34% to CHF 27.6 billion. The new business margin increased to 2.2% (2012: 1.4%) and the value of new business rose to CHF 289 million (2012: CHF 158 million). Return on equity came to 10% in 2013 (2012: 8.6%). Shareholders' equity fell by 12% to CHF 8.9 billion due to rising interest rates; the Group's solvency ratio stood at 210% at the end of 2013 (FY 2012: 239%). The Board of Directors proposes that the Annual General Meeting approve an increase in the distribution from CHF 4.50 in the previous year to CHF 5.50 per share. "2013 was a very good year for Swiss Life," says Bruno Pfister, Group CEO. "Higher premium income, higher margins and higher profit accompanied by lower costs: These strong results prove that we are making good progress with our Group-wide programme 'Swiss Life 2015' and have been able to expand our position in the market." In 2013 Swiss Life grew profitably and above the market average in strategically important business areas. At CHF 18 billion, premium volume in local currency was 4% up on the previous year (CHF 17 billion). Performance in the home market of Switzerland was very encouraging: In the corporate client sector, where full insurance in 2nd pillar occupational benefits (BVG) has continued to see vigorous demand from Swiss SMEs, Swiss Life posted considerably stronger growth (13%) than the market as a whole (8%). Compared to the previous year total premium income in Swiss Life Switzerland grew by 9% to CHF 9 billion. Swiss Life in France also posted strong growth in local currency of 8% to CHF 4.7 billion compared to 5% for the market. With premium income in Germany of CHF 1.7 billion Swiss Life kept volumes on a par with the previous year despite strict margin management. Swiss Life International, which generates premium income primarily from global business with high net worth individuals,recorded a drop in premiums of 10% to CHF 2.6 billion. At CHF 1.2 billion, fee and commission income for the Group remained at the prior-year level. In external customer business, Swiss Life Asset Managers posted net new assets of CHF 5.6 billion thanks to new mandates and inflows in institutional and retail funds. Total volume in asset management business with external customers now stands at CHF 27.6 billion (+34%). This is a clear sign that customers recognise the expertise and success of Swiss Life Asset Managers and that its expanded portfolio of products and services is in high demand. Together with proprietary assets, total assets under management at Swiss Life Asset Managers stood at CHF 155 billion at the end of December 2013 (2012: CHF 148 billion). Swiss Life reports adjusted profit from operations of CHF 1143 million, a rise of 13%. On a non-adjusted basis, profit from operations stands at CHF 1149 million. Net profit comes to CHF 784 million compared with CHF 99 million in the previous year, which was impacted by impairments in intangible assets. Swiss Life Asset Managers maintained direct investment income from the insurance portfolio at the previous year's high level of CHF 4.3 billion. Together with realised gains and revaluations on our real estate portfolio, this produced a net investment result of 3.9% (2012: 4.8%). The strong investment result again enabled substantial strengthening of the insurance reserves. Swiss Life Switzerland increased its segment result by 17% to CHF 716 million (2012: CHF 613 million) due to further cost reductions and a strong investment result. Swiss Life France posted a steep 18% rise to EUR 157 million – attributable to a higher fee result, ongoing improvements in operational efficiency and a good financial result. Swiss Life Germany achieved a segment result of EUR 78 million (2012: EUR -158 million), driven by significant operational progress and a high investment result. On the basis of strict cost management, Swiss Life International posted a very pleasing improved result with a contribution to profit of CHF 16 million (2012: CHF -334 million). Swiss Life Asset Managers increased its segment result by 21% to CHF 166 million. Within the context of its Group-wide programme "Swiss Life 2015", the Group made further significant operational progress in the 2013 financial year. A total of 75% of the planned cost reduction measures have already been implemented. The Group reports a rise in the new business margin from 1.4% in 2012 to 2.2%, while the value of new business went up from CHF 158 million to CHF 289 million. Adjusted for unrealised gains and losses on bonds, Swiss Life generated a return on equity of 10% in 2013 (2012: 8.6% adjusted). As a result of the rise in interest rates over the past year, shareholders' equity fell from CHF 10.1 billion to CHF 8.9 billion. The Group's solvency ratio stood at 210% at the end of 2013 (FY 2012: 239%). Excluding unrealised gains and losses on bonds, the Group's solvency ratio rose to 196% (FY 2012: 186%). Manfred Behrens, 59, will retire in 2014 and will be succeeded on 1 April 2014 as CEO Germany and member of the Corporate Executive Board of the Swiss Life Group by Markus Leibundgut, the current Chief Operating Officer of Swiss Life Germany. During the ten years he spent at Swiss Life, Manfred Behrens made a major contribution to developing the Group’s position in Germany and making it a leader in distribution to end customers. His discerning style and in-depth knowledge of distribution allowed him to add valuable impetus to the development of Swiss Life. The Board of Directors and Corporate Executive Board of the Swiss Life Group would like to thank Manfred Behrens for his enormous commitment over many years and wish him all the best for his future. Markus Leibundgut, 45, has broad experience of the insurance industry in Europe. In July 2013 he was appointed to the Executive Board of Swiss Life Germany as Chief Operating Officer. This change in the CEO is the last step in Swiss Life Germany’s integration of all its business activities in the Germany market. All distribution and production organisations are now together under one roof. At the Annual General Meeting on 23 April 2014, the Board of Directors will propose an increase in the dividend (withholding tax-free distribution out of the capital contribution reserves) from CHF 4.50 in the previous year to CHF 5.50 per share. Peter Quadri will be resigning from the Swiss Life Board of Directors at the next Annual General Meeting due to his reaching the statutory age limit. Adrienne Corboud Fumagalli will be proposed to shareholders for election to the Board of Directors. 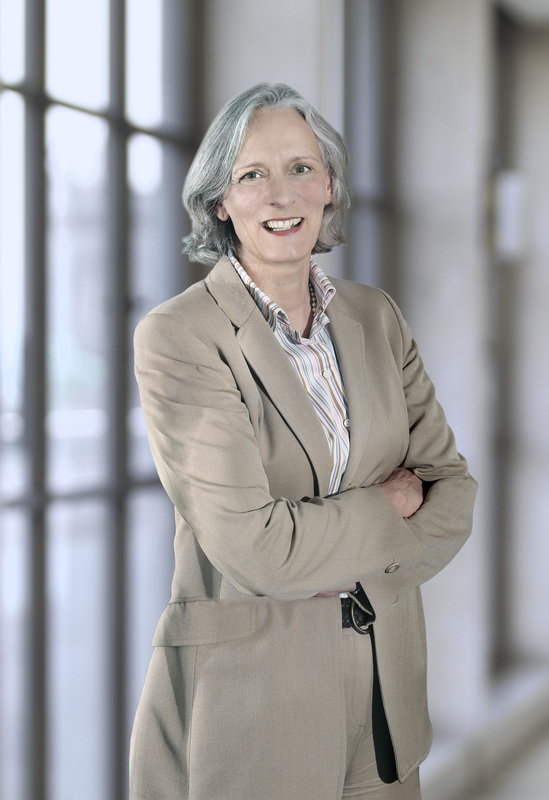 She is Vice President of the Swiss Federal Institute of Technology in Lausanne (EPFL) with responsibility for Innovation and Technology Transfer. In the context of the implementation of the Swiss "Minder initiative", Swiss Life will be proposing amendments to its Articles of Association at the next Annual General Meeting.